The méthode traditionnelle (or traditional method) has been adopted throughout France and worldwide as the most successful approach to quality, ageworthy sparkling wine production. While the exact aging requirements and grape varieties may change, and the limit on pressing is less strict, the traditional method mirrors the méthode Champenoise and has at its heart the principle of a second fermentation in the bottle. In France, there are seven AOP regions for crémant wines produced by the traditional method: Crémant de Bordeaux, Crémant de Bourgogne, Crémant de Loire, Crémant de Limoux, Crémant de Die, Crémant du Jura, and Crémant d’Alsace. Other appellations in France producing traditional method sparkling wines include Vouvray, Montlouis-sur-Loire, and Saumur in the Loire; and Vin de Savoie and Seyssel in Savoie. Fully sparkling wines from the aforementioned appellations will be labeled mousseux, whereas lightly sparkling wines are labeled pétillant. Blanquette de Limoux AOP wines from the Languedoc region are also produced by the traditional method, from a minimum 90% Mauzac, Chardonnay, and Chenin Blanc. Spanish Cava (mostly in Catalonia but also in other regions such as Valencia, La Rioja, Aragon, Extremadura) is a white or pink sparkling wine produced mainly in the Penedès region in Catalonia, 40 km to the south west of Barcelona. Under Spanish Denominación de Origen laws, Cava can be produced in six wine regions and must be made according to the Traditional Method with second fermentation in the bottle and uses a selection of the grapes Macabeu, Parellada, Xarel·lo, Chardonnay, Pinot noir, and Subirat. In Italy, sparkling wines are made throughout the whole country but the Italian sparkling wines most widely seen on the world market are the Franciacorta from Lombardy, Asti from Piedmont, Lambrusco from Emilia and Prosecco from Veneto. Though Franciacorta wines are made according to the traditional method, most Italian sparkling wines, in particular Asti and Prosecco, are made with the Charmat method (see below). Portuguese Espumante (sparkling) is produced in throughout Portugal. While Spain has one regulating body, DOC Cava, spread across several different political regions, quality portuguese Espumante is produced solely in DOC Bairrada, located just south of Vinho Verde. In order for a wine to be certified as a quality Espumante from DOC Bairrada, it must be made in the traditional method (indicating the year of harvest) and stamped with the VEQPRD (Vinho Espumante de Qualidade Produzido em Região Determinada) certification. Other certifications are VFQPRD, a regional sparkling wine made in the traditional, charmat or transfer method in one of the following determined regions: Douro, Ribatejo, Minho, Alentejo or Estremadura. VQPRD is a sparkling wine that can be made by injecting the wine with gas in the traditional champagne, charmat or transfer method anywhere in Portugal. 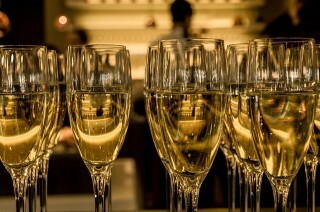 Espumosos is the cheapest and lowest level of sparkling wine, made by injecting the wine with CO2. Quality sparkling wines are made on USA West Coast, in Carneros, Napa Valley, Anderson Valley, Willamette Valley, and Washington. Traditional method sparkling wines are also made in New York and Canada. Graham Beck is at the forefront of traditional method “Cap Classique” sparkling wines in South Africa. Major Champagne houses have established outposts in Australia, New Zealand, Argentina, Ukraine, and even Brazil! The Charmat Process (aka Cuve Close or Tank Method) is quicker, cheaper, and less labor-intensive than the traditional method. After the wine undergoes primary fermentation, liqueur de tirage is added to the wine, provoking a second fermentation, which occurs in a pressurized enamel-lined tank, or autoclave, over a matter of days. Once the appropriate pressure is reached (usually 5 atmospheres), the wine is chilled to arrest fermentation. Some appellations require the wine to remain in tank for a minimum period of time, such as one month for Asti DOCG. The wine is then filtered and bottled, usually with a dosage. The lack of extended lees contact in the tank method is not suitable for making quality wines in the style of Champagne. The bubbles in tank method wines will be larger and coarser, and the wine will have a less uniform texture than wines made by the traditional method. However, this method is appropriate and even preferred for sparkling wines emphasizing fruit and varietal aromatics rather than the flavors derived from autolysis. Mousseux (French for “sparkling”) wines, most Italian Asti DOCG and Prosecco are produced in this method. Continuous Method (aka Russian Continuous Method), is similar to the tank method, but the base wine is pumped through a series of interconnected (continuous) tanks while undergoing the second fermentation. Liqueur de tirage is constantly added to the wine, and lees accumulate in the first several tanks, offering a higher degree of autolyzed flavors than the standard tank method. The majority of German Sekt is produced by either the tank method or the continuous method. Carbonation is the cheapest method of sparkling winemaking, and involves a simple injection of carbon dioxide into still wine. The bubbles do not integrate into the texture of the wine at all, and fade quickly upon opening. 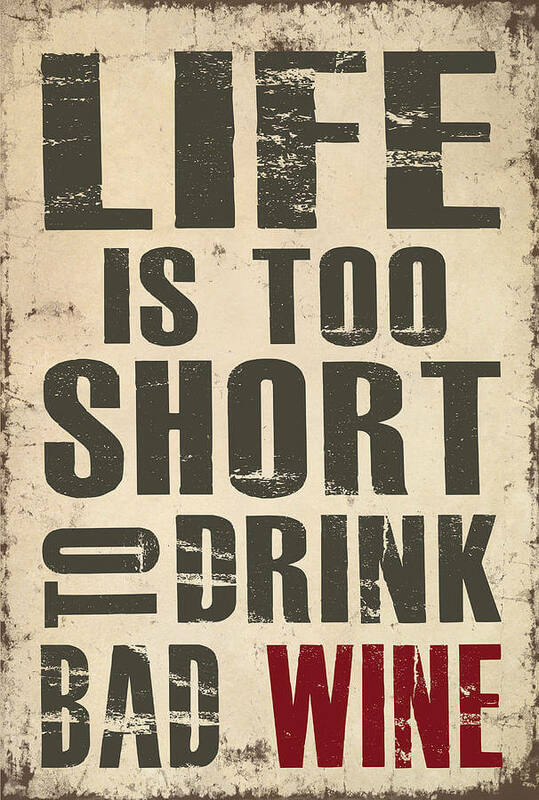 This method is not used for quality wines. Sales of Prosecco have overtaken Champagne for the first time in UK. The sales numbers rose by 72% in the last year, ahead of its French rival. 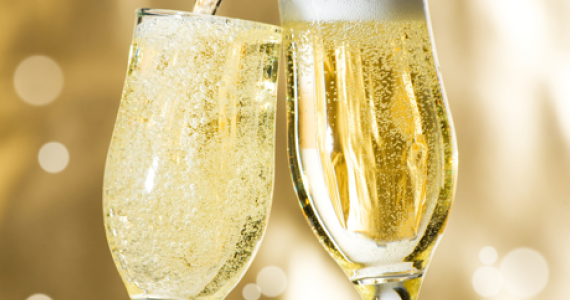 With total sales of £250m, Champagne is trailing behind Prosecco, according to retail analysts IRI. It’s the third year in a row sales growth of the sweeter tasting, cheaper-priced Prosecco have surged ahead of the classic bubbles. And might not have an easy way to say that, but it sounds like there’s going to be a global shortage of Prosecco this summer! Apparently, last year’s harvest of the Glera grape was “very poor” – down by as much as 50 per cent in some parts of the region. That’s according to Robert Cremonese, the export manager of Prosecco brand Bisol, there is a very real possibility of a global shortage.